Capcom has confirmed that the Xbox One and PC versions of Resident Evil 7 will feature cross-saving functionality. 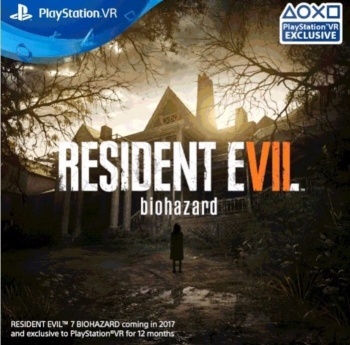 In an interview with Japanese magazine Dengeki (as translated by IGN) Capcom has confirmed that the PC and Xbox One versions of Resident Evil 7 will feature "cross-saving" - the ability to transfer your saved games from one platform to another. While it did stop short of confirming the title as one of Microsoft's play anywhere titles, cross-saves are one of the key features of the service, so its inclusion seems likely. If Capcom does confirm this, it would make Resident Evil 7 the first third-party title to join the play anywhere scheme, which allows gamers to play Xbox One games on their PC for free, and vice-versa. It also allows cross-play between multiplayer titles. This feature may have slipped under the radar due to Capcom primarily marketing the PS4 version of the game. The Xbox One and PC are not very big platforms in Capcom's home country of Japan, and the game's PSVR compatibility is one of its most touted features.